Blast into big fun with the Fortnite Llama Nerf MicroShots Dart-Firing Toy Blaster. 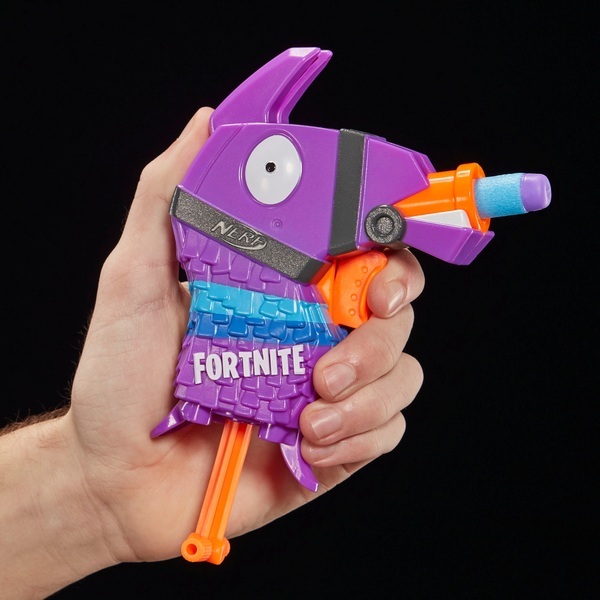 This Nerf MicroShots Fortnite Llama blaster is inspired by the iconic purple pinata loot box used in the popular Fortnite video game. It includes 2 Official Nerf Elite darts and fires 1 dart at a time with hand-powered action (no batteries required). Load 1 dart into the front of the blaster, pull down the handle to prime, and pull the trigger to fire. Look for all the MicroShots series of micro- sized blasters for collecting and playing (each sold separately).